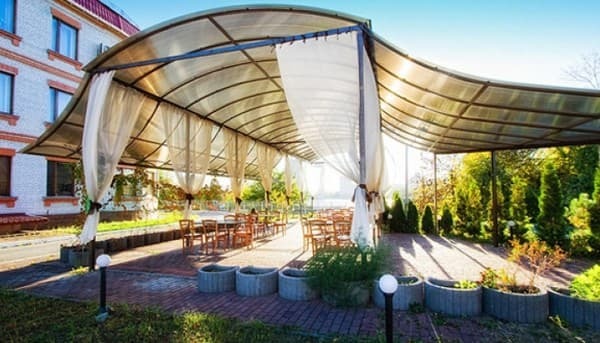 The hotel "Vita Park Borisfen" is located on the banks of the Dnieper River, just 15 minutes from the center of Kiev in the green zone of the Friendship of Peoples Park. Guests can choose from 64 modern rooms of European level, which can accommodate up to 130 guests at the same time. 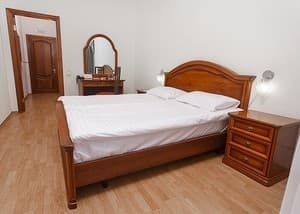 All rooms are equipped with: double or twin beds, spacious closets, air conditioning, TV with cable TV, mini-bar, bathroom, shower or bath. 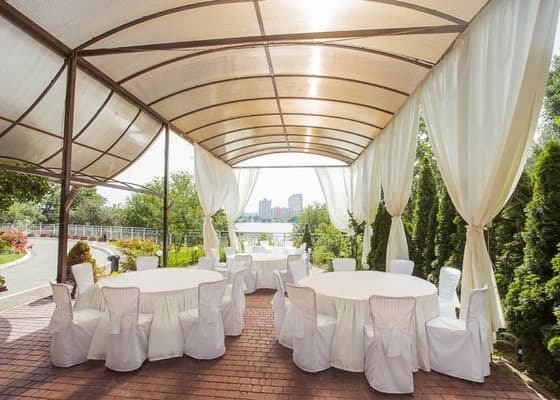 Panoramic windows of the rooms overlook the Dnieper River or the park area. 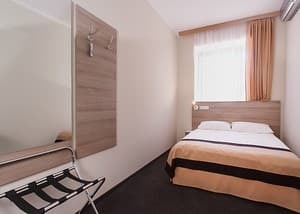 "Vita Park Borisfen" cares about the comfort of the guests, so the hotel provides elements for providing accommodation for people with disabilities. 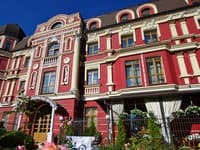 The hotel has a restaurant serving European cuisine and a summer terrace. For younger visitors, a children's playground is located on the territory of the spa hotel. 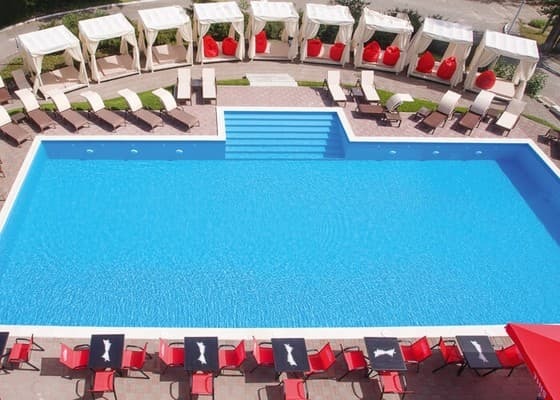 Also among other services: rent of a conference hall, sauna, swimming pool, transfer. The distance to the city center is 8 km, to the railway station 11 km. Description of the room: Size of the room: 19.26 sq. m. The room has one single bed and bedside tables. 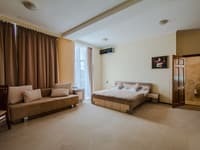 Description of the room: Room size: 18 - 21.2 sq. m. The room has one double bed. 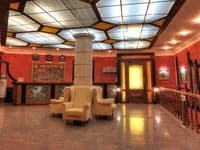 Description of the room: Room size: 15.89 - 25.07 sq. m. The room has two single beds. There are rooms with a balcony. 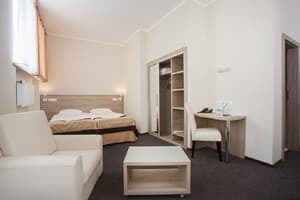 Description of the room: The room is designed in bright colors, equipped with two single beds and bedside tables. Летом прогуляться до остановки с радостью,а вот зимой немного неудобно . 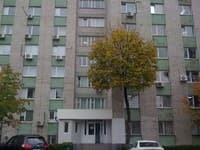 Гостиница находится в центральной части Киева и в то же время в парковой зоне т. е смотришь в окно , а кругом лес, очень впечатляет. завтрак входит в стоимость, большой плюс, завтрак-шведский стол- всё вкусно и всего много, наестся можно на целый день, молодцы что не жлобы. общее впечатление от пребывания в этой гостиннице положительные. есть желание приехать ещё раз. Рекомендуем. Мы переночевали всего одну ночь так что минусов не успели заменить. Хорошая новая мебель, качественное постельное белье, спала как дома, приветливый персонал, замечательная кухня. Спасибо. 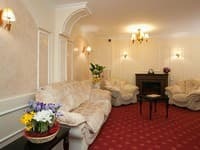 Children under 5 years free in the same room with parents without extra bed free of charge. The cost of placing children older than 5 years and adults on additional bed in the room - 250 UAH. 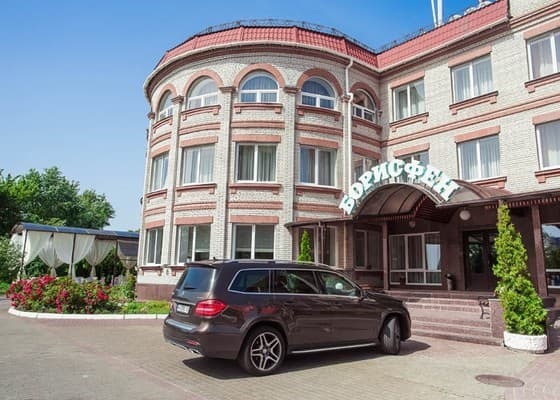 Hotel "Vita Park Borisfen" is located on the banks of the Dnieper River just 15 minutes from the center of Kiev in the green zone of the Park of Friendship of Peoples. The distance to the city center is 8 km, to the F / A station 11 km.